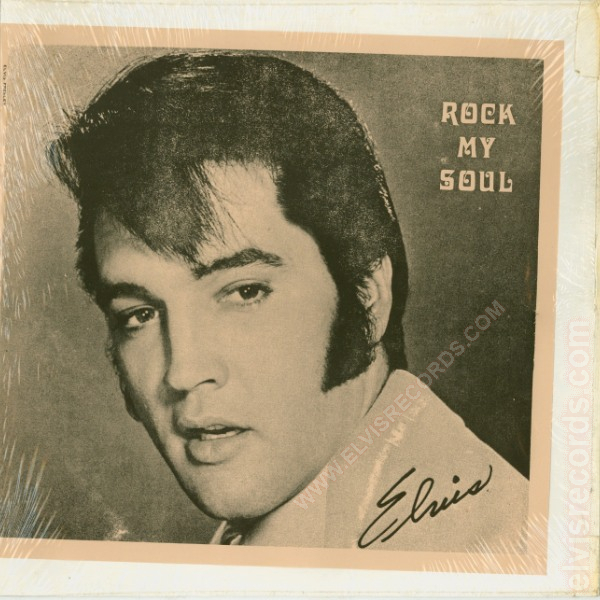 Tracks 1-14: From the soundtrack of the 1972 film, "Elvis On Tour." 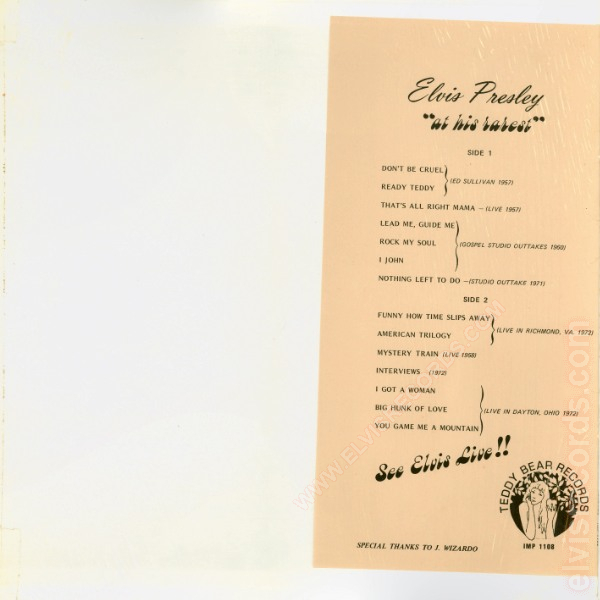 Tracks 1 & 2: From the appearance on "The Ed Sullivan Show," September 28, 1956, CBS-TV. 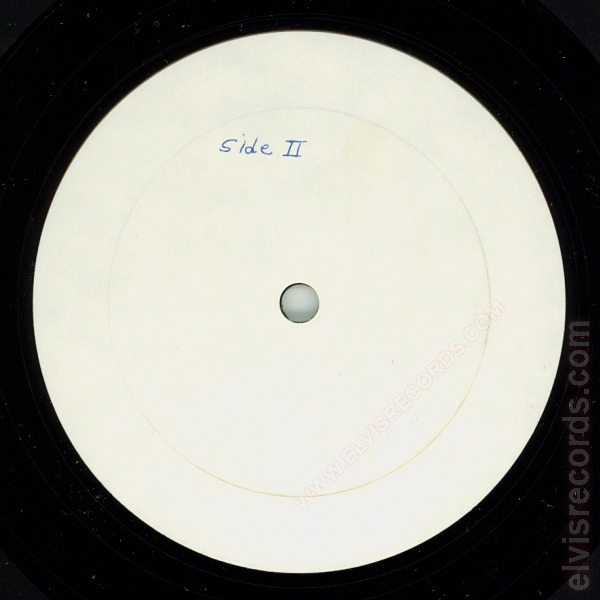 Track 3: Sun Records studio recording, July 6, 1954; crowd noise overdubbed for the film. Track 7: Correct Title: Separate Ways. 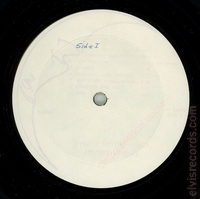 Track 10: Sun Records studio recording, 1955; crowd noise overdubbed for the film. Track 14: Incorrectly spelled as You Game Me a Mountain where Game should be Gave. Cover Front: White cardboard with an 11 by 17-inch printed sheet of tan paper to wrap around the cover. 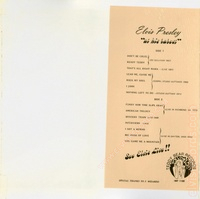 Picture of Elvis with title upper right corner. Cover Back: Song titles on back of tan paper. There are many variations and releases of this bootleg. This is the original cover. 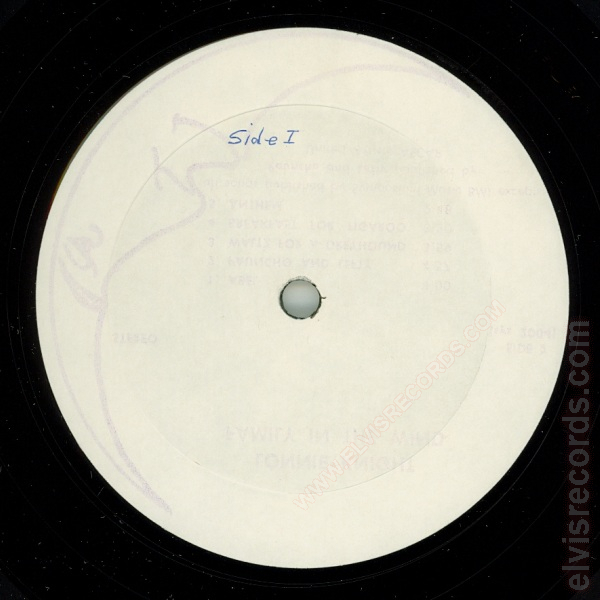 One publication states that this cover should come with blue vinyl, however, this particular vinyl release is not listed in that publication. Disc: White label with no text.